As a small employer, offering benefits to your employees is an exciting step. You build a more productive atmosphere with happier employees, and typically, that leads to better business. In the past, a small employers like you may have been limited by the number of employees when it came to offering benefits. Times have changed and so has the way employers like you offer their benefits. Now, benefits for small employers like you are more attainable than ever, and easy too, with Benefit Credits and the Smart Insurance Marketplace (SIM). With Benefit Credits and the Smart Insurance Marketplace, you receive a package of benefits plans to offer to your employees. It may even be beneficial to offer individual health insurance too. To learn more about Benefit Credits, the Smart Insurance Marketplace, and the opportunities it holds for you and your employees, contact us today and we can answer any questions you may have and help you get your employees set up with Benefit Credits today! Don’t forget: all support and administration for the benefits packages is taken care of for you. That means you won’t have to worry about learning the plans then teaching them to your employees. And best of all, when everything is all said and done, you’ll only have to deal with one simple list bill. All you will have to worry about is determining Benefit Credits for each employee. 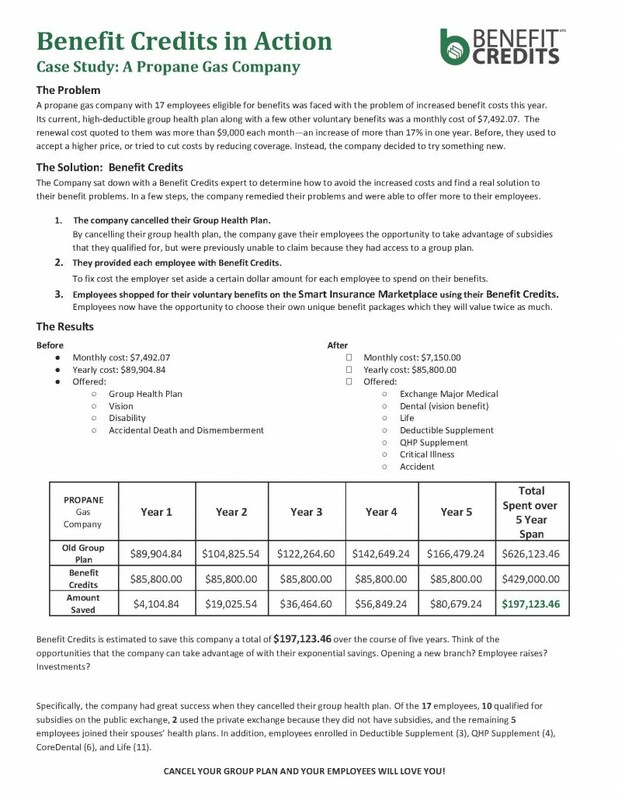 That’s how much you will allow for each employee for their benefits.